For fencing, concreting and landscaping services in Tarneit contact Everlast Services. We have been providing quality and affordable fencing, concreting and landscaping solutions throughout the Tarneit area for 20 years and we’re a family-owned company so you can be sure that we’ll care for you as a customer. Our steel fabrication plant means we can make a lot of our own materials, cutting out the middleman and saving you big-time. When we started Everlast Services we decided that giving back to the local community was more important to us than the profit margin, so we made a made a firm commitment to only sourcing Australian made and owned products. In times like this everyone needs to do there bit to support the local community, so go with Everlast and support local jobs. You won’t find a more expert or passionate team than ours, we promise that anyone standing under the Everlast brand will be prepared to do whatever it takes to make your vision a reality and make your experience with Everlast a positive one. Aluminium Slat Fencing: Nothing looks as good, or is as easy to maintain as this fencing option. Steel Fencing: Join the revolution, go steel. Swimming Pool Fencing: Keep your family safe and your backyard looking great. Industrial Security Fencing: No matter how big or small your property is, we’ll come up with a solution to keep it safe. Colorbond Fencing: A material you can trust, laid by a company you can trust. Driveway Gates and Fences: We can create a driveway gate or fence for any type of house. Fencing Supplies: Enjoy the huge savings and be amazed by the quality. Aluminium Fence Panels: Straight from our steel fabrication plant, quality panels at a fair price. Concrete Driveways: Nothing provides the durability and the ease-of-maintenance that a concrete driveway does. Get it from the best. Exposed Aggregate Concrete: Love concrete but want a visual element, with exposed aggregate you’ve found the answer. Painted Concrete: Shocked at the price of slate, tired of the maintenance required with tiles – get the look without the headache. 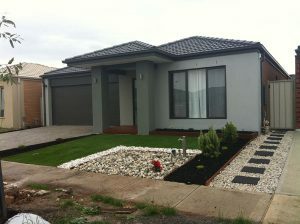 Landscaping Design: We’ve worked in all sorts of spaces and created all types of designs. Landscaping Installation: With the designer taking care of the installation, you can count on consistency and the simplicity of having one-point of contact. Landscape Supplies: If you want to do it yourself, we’ve got the products to ensure quality and save you from breaking the budget. Timber Decking: There’s nothing quite like a decking, especially in the summer months – don’t miss out any longer. Pergolas: Our steel framed pergolas will last forever and be the perfect space for countless backyard parties and BBQs.